The court has held that the states and the federal governments are "separate sovereigns"
The U.S. Supreme Court agreed Thursday to reconsider its view that prosecuting someone twice — once by a state and again in federal court — doesn't violate the Constitution's protection against double jeopardy. The court will hear the case in the fall. Among the provisions of the Fifth Amendment, NBC News reported, is that no person shall be "subject for the same offence to be twice put in jeopardy of life or limb." That's popularly understood to mean that nobody can be put on trial twice for the same crime. 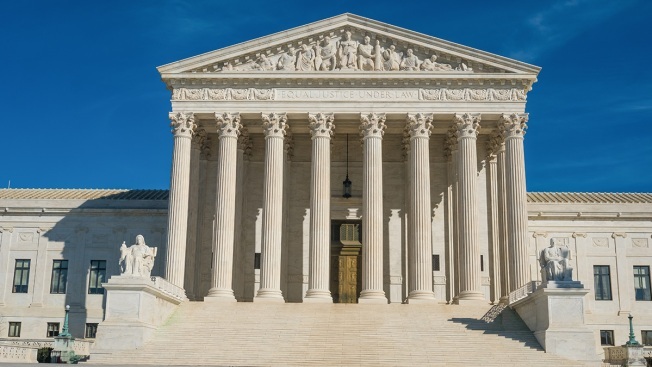 But in a line of cases stretching back more than 150 years, the Supreme Court has ruled that being prosecuted by a state and then again in federal court doesn't violate the clause because the states and the federal government are "separate sovereigns." The court has held that when a defendant in a single act breaks both a federal and a state law, that amounts to two distinct offenses and can result in two separate prosecutions. Barring states from prosecuting someone already tried in federal court "would be a shocking and untoward deprivation of the historic right and obligation of the states to maintain peace and order within their confines," the court has said. Supreme Court Justice Anthony Kennedy will retire July 31. Kennedy was nominated to the Supreme Court by President Ronald Reagan in 1987.